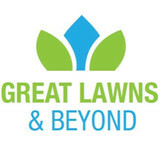 The team members at Great Lawns & Beyond are experts in landscape services, lawn and garden maintenance, and almost anything you else you have been hoping to get done around your property. We pride ourselves on old-fashioned values - that means providing our customers with high-quality work, honest services, and lasting relationships. Irrigation system installation, service and repair. Low volume watering solutions. Backflow testing. LED landscape lighting installation. Servicing Vancouver and surrounding areas. Call today for free estimate. Pacific Coast Irrigation Ltd is a Vancouver Irrigation Company, that knows how important your garden is to you not only for enjoyment but as it is an investment. With water being a precious resource, irrigation is the responsible way to water. We are a creative team with our lead Foreman having over 20 years experience. Irrigation makes lawn watering easy, but irrigating Decks and Patio Planters makes watering a dream, never worry about your potted plants again. Having Irrigation in Vancouver makes sense. NuLawns specializes in creating exceptional lawns. Installing new lawns or renovating existing lawns is what our business is all about. We service Vancouver Island and the southern Gulf Island, and are Victoria’s only company that focuses specifically on the installation and renovation of high quality lawns. Budget Cuts Lawn Care is a dependable and professional lawn care company offering lawn maintenance at an affordable price. Our services include lawn mowing, aeration, fertilizing, hedge trimming, rubbish removal, soil and gravel delivery, pressure washing, and much more. Budget Cuts currently provides service to the Comox Valley. Green Image Lawn and Garden Ltd.
Green Image lawn and Garden is committed to giving a reliable Lawn and Garden Service. We make sure your yard is always looking its best through proper maintenance practices. Having looked after over 800 properties we know what needs to be done to have your place looking green lush and clean. Carefree Greenery Ltd provides a full landscape service for homeowners, businesses, property managers, strata councils, landscape architects and government agencies in the Metro Vancouver area including downtown, North Vancouver, West Vancouver, and Bowen Island. Our company mission is to provide a quality landscaping service, dedicated workmanship and inspired gardening knowledge to our satisfied customers. Established in 1984, Carefree Greenery has always worked to be on the cutting edge of both outdoor and indoor planting and design trends. We are a locally owned and operated yard care business that focus on professional quality at a reasonable rate. DT Gardening & Landscaping provides you with professional service for your needs in Metro Vancouver. From tree trimming to your yard's clean up, DT's variety of services are available 7 Days a Week. DT gets the job done at guaranteed reasonable prices and Free Estimates for your satisfaction. Call 24 hours for your free estimates now. Our garden specialists are very knowledgeable and will provide you full detail information for your garden projects. Our parent company, Supreme Sprinklers Inc., was established in 1995 and purchased Permanent Irrigation Systems afterward to become one of the best irrigation companies in Vancouver by focusing on quality and service. Our reliable technicians are trained experts in irrigation installation and landscape lighting, and we provide references at your request. A live person will take your call because our full-time office staff answers our phones all day. Permanent Irrigation Systems is a member of the Irrigation Industry Association of British Columbia (IABC) and the Better Business Bureau, and we are certified backflow testers. We are covered by the Workers’ Compensation Board (WCB) and carry $2,000,000 of liability insurance. For a green and healthy lawn, trust the experts at A1 Affordable Landscaping in Delta. We provide quality lawn care at competitive prices to home and business owners in and around the region. Our services include hedge and shrub trimming, weeding, small tree pruning, grass cutting and much more. For more information on our rates and packages, send us an email or give us a call today. A1 Affordable Landscaping helps you keep your lawn in excellent condition. You grow it, we mow it! You can count on our professional garden maintenance services which include spring and fall a clean-up. Your grass, shrubs and hedges will definitely add value to your property. Contact us today to speak to one of our experts.We provide seasonal lawn care with professionalism. 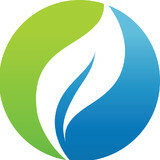 Hire us for all your irrigation needs! In addition to the maintenance side of gardening, Nanaimo, BC gardeners can help you with garden design and choosing specific plants and grass types for your climate and area. Find a Nanaimo, BC gardener on Houzz. 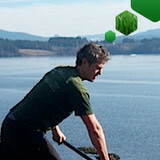 Narrow your search in the Professionals section of the website to Nanaimo, BC gardeners. You can also look through Nanaimo, BC photos to find examples of yards that you like, then contact the British Columbia contractor who worked on them.